Michael Dunlop has revealed he will run a second rider in his MD Racing colours during the 2019 road racing season. Dunlop recently announced that he would return to racing this year riding a Superbike for the Tyco TAS BMW team although his full schedule for the forthcoming campaign is still unknown. The 29-year-old Ballymoney rider will ride a BMW in the Superstock class and also a Supersport bike. Dunlop has vowed to come "bigger and better than ever" this year. 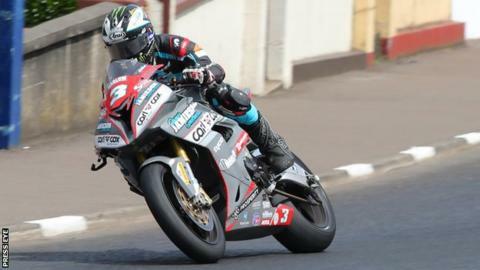 The 18-time Isle of Man TT winner has not competed since his brother William was killed in practice at the Skerries 100 last July. "After having some time off now is the time to come back bigger and better than ever. I have a strong team and great bunch of lads, some who will be returning with me this year along with a few new faces," said Dunlop in an official statement on his Facebook page. "I have a great team around me; we have the craic but we get the job done. The team put in the hours and hard work to help get me to where I am today. "We have the new S1000 RR K67 bike this year so there will be a few late nights to get all ready to go ASAP. "We are up for the challenge with the bike and will be working alongside Tyco BMW for technical support and developing our relationship. "We are ready to take on the challenges that 2019 bring." John McGuinness had been due to ride a 600cc machine for Dunlop at the TT last year until he was ruled out through injury.